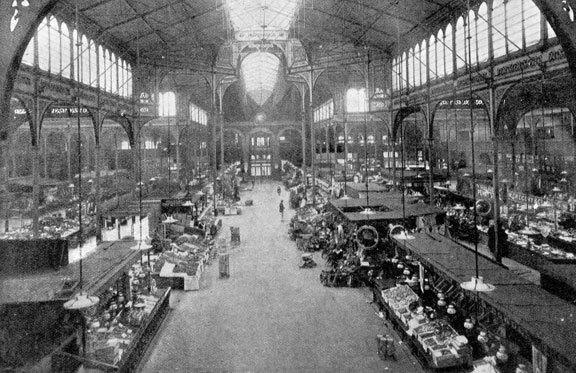 The Market Hall, was opened on 19 December 1855. Measuring 294 feet in length and covering an area of 7000 square yards it was said to be 'the largest covered market in the kingdom'. It cost £50000. At the opening ceremony there was a long procession and it was predicted that the market would be a great boon to the town. 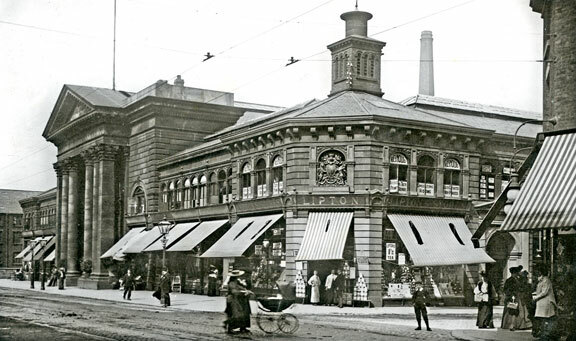 Nearby was the fish market, which cost £30000.